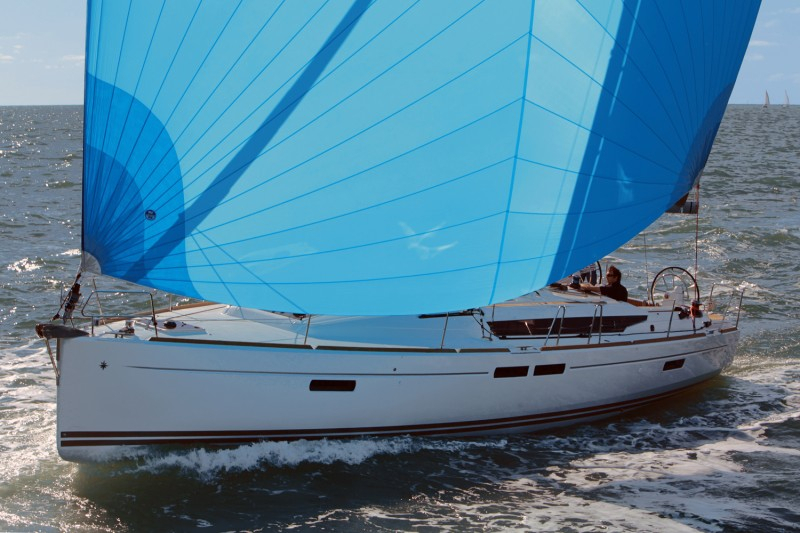 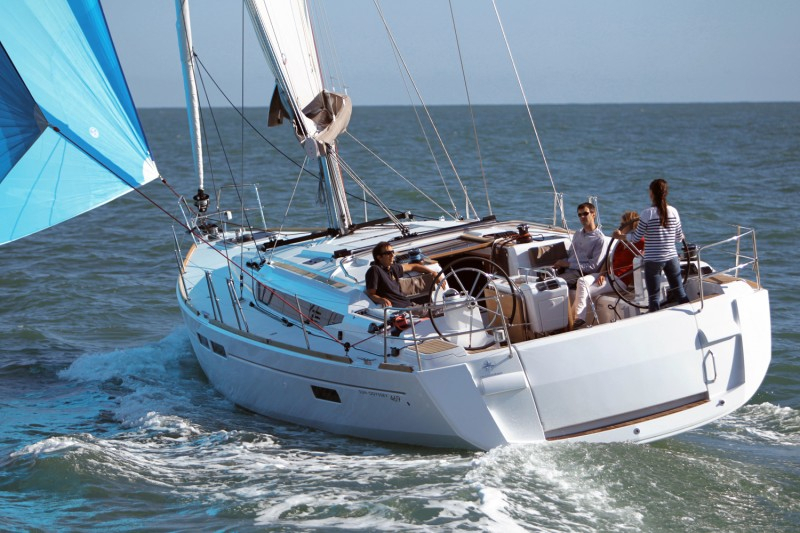 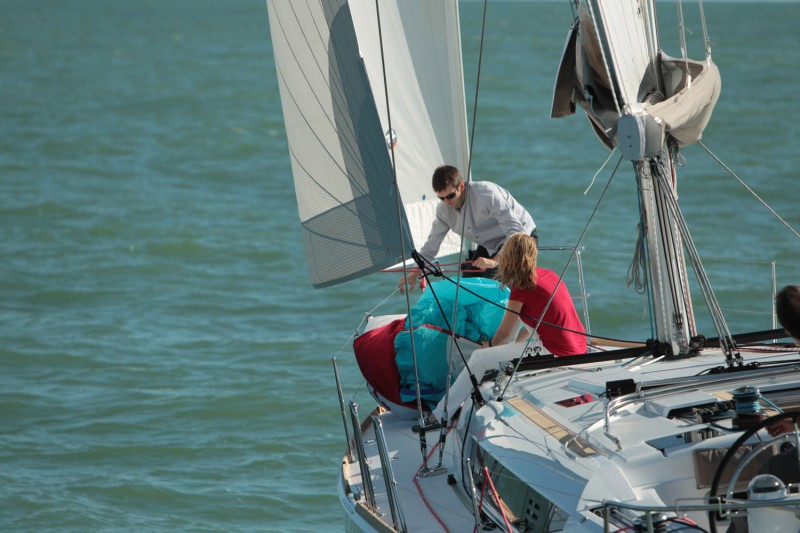 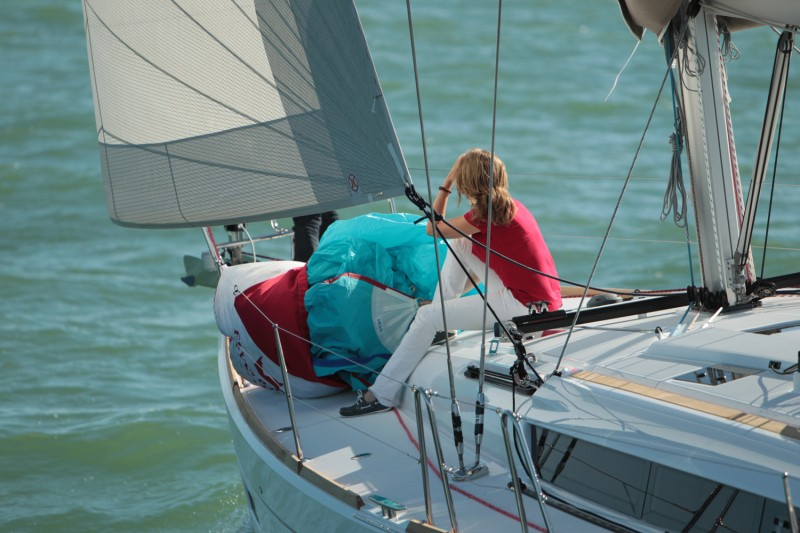 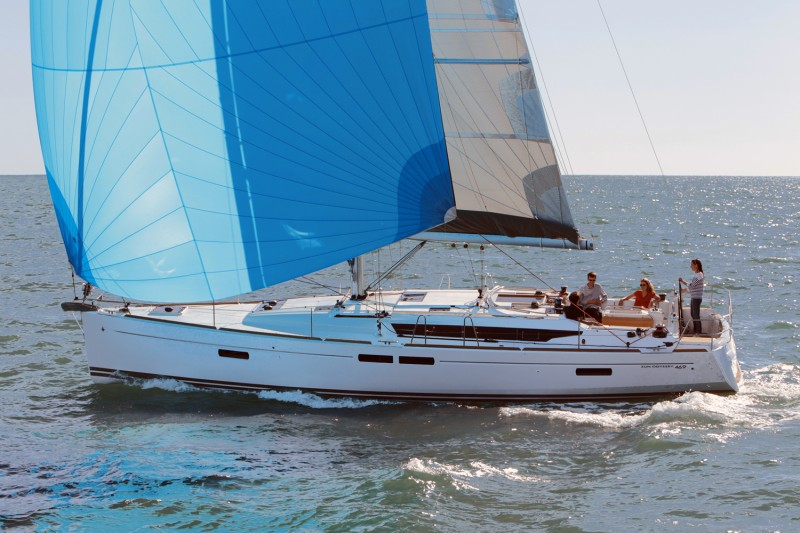 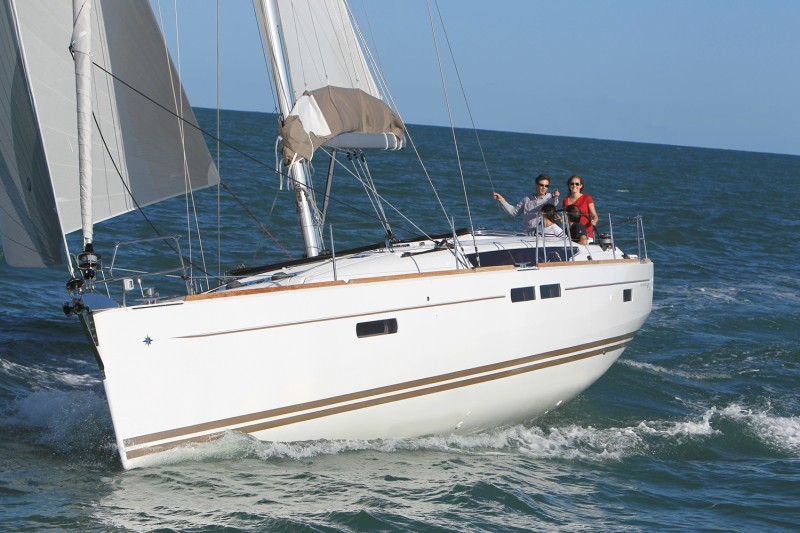 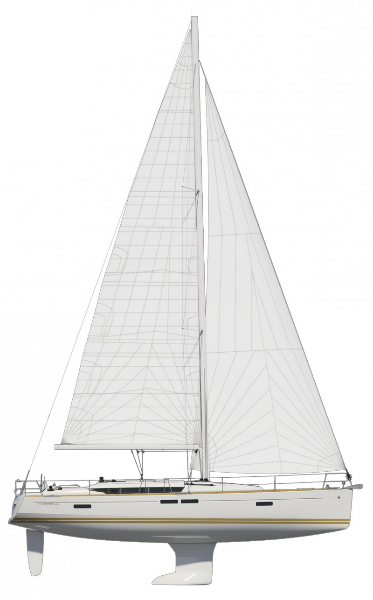 The newest addition to the Jeanneau Sun Odyssey line, the Sun Odyssey 469, benefits from the latest innovations and inherits the finest traits of this iconic line of sailboats. 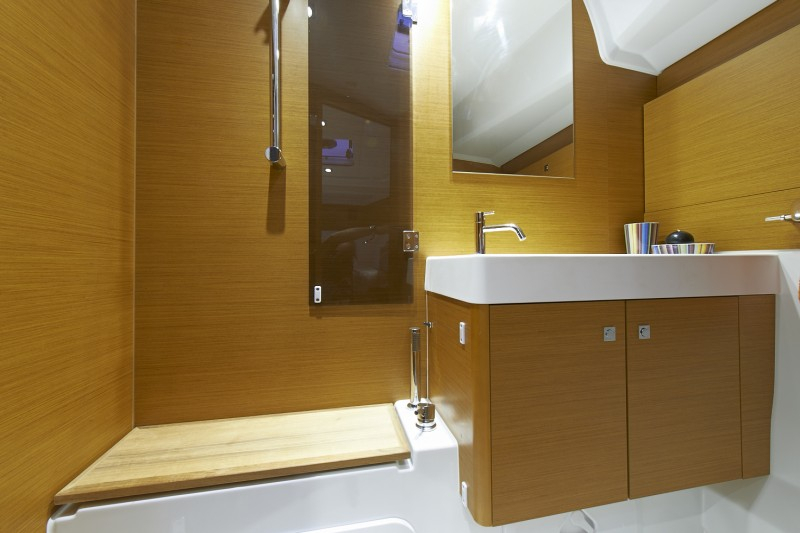 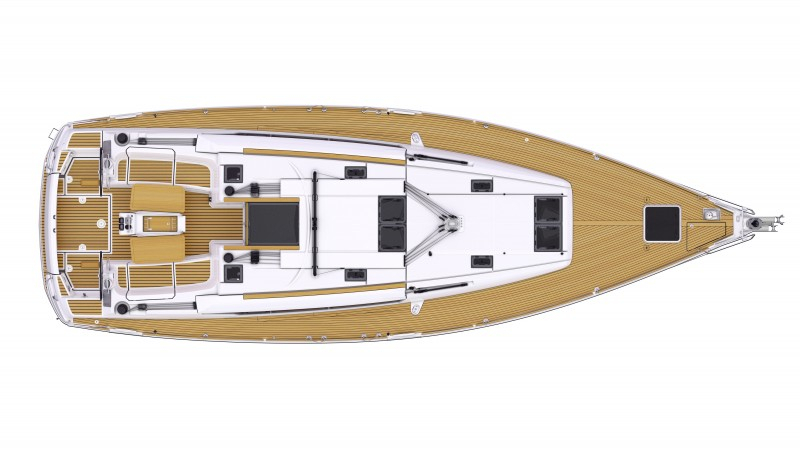 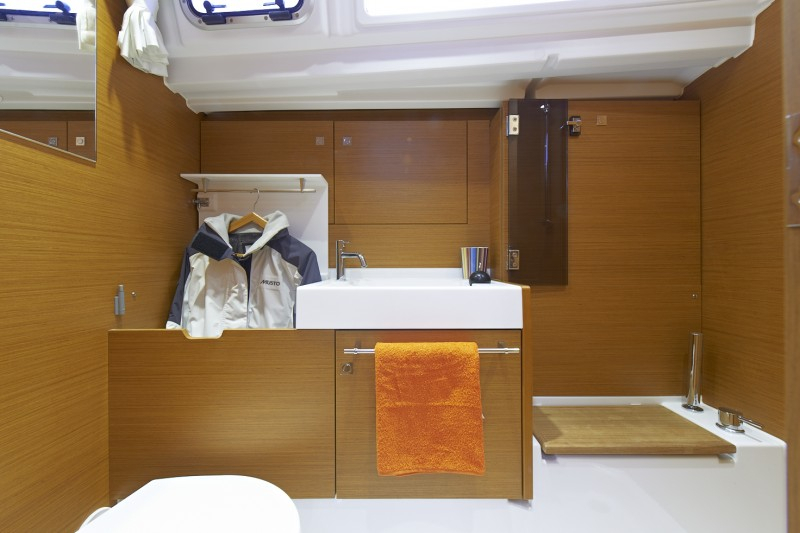 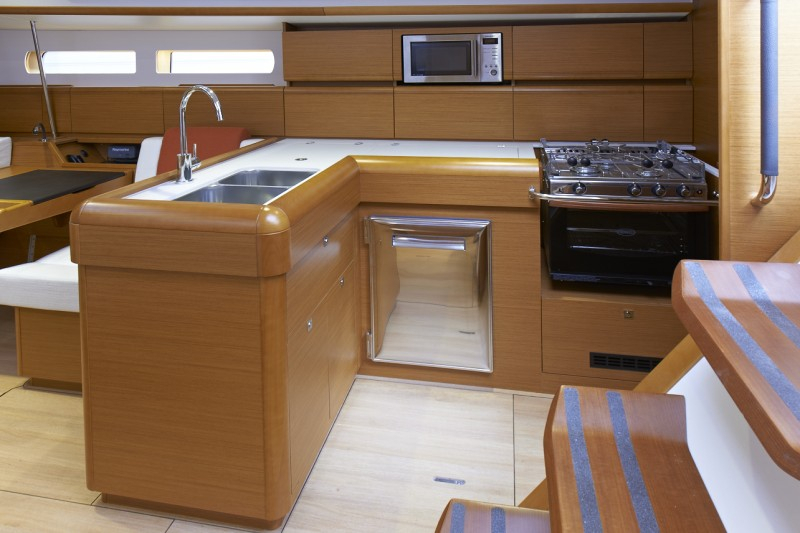 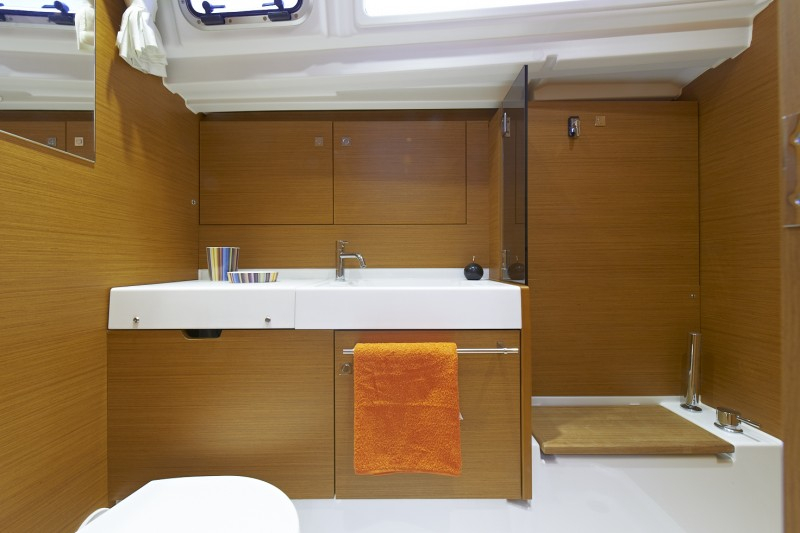 From the design cabinet of Philippe Briand, clean lines and an elongated hull with moderate freeboard give the Sun Odyssey 469 an extraordinary aesthetic value and performance. 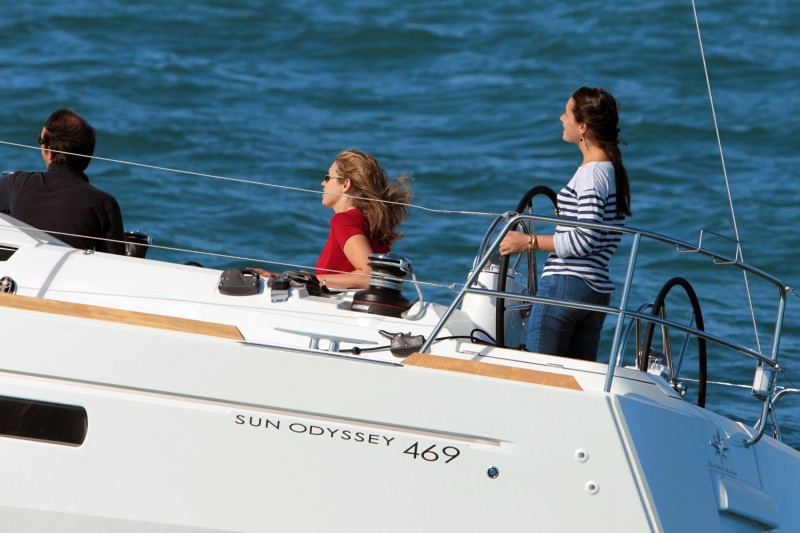 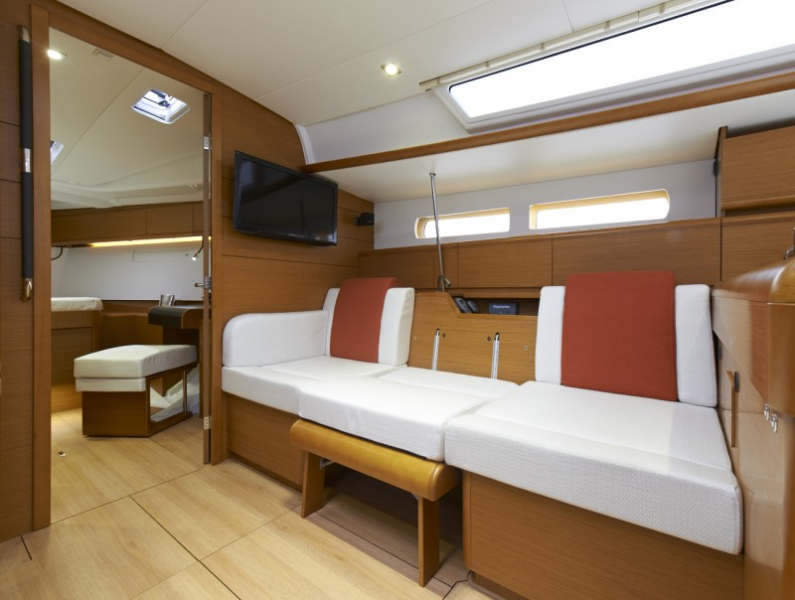 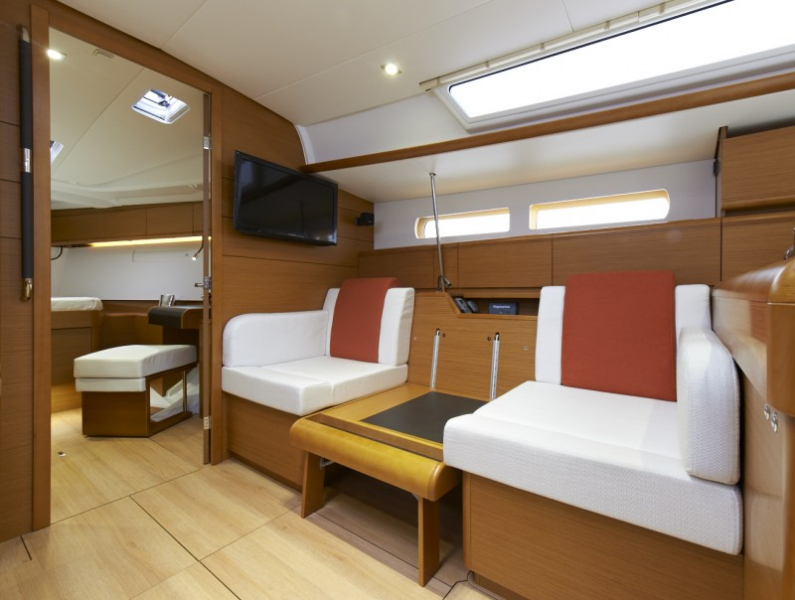 The perfect blend of performance, comfort and ease of handling, the Sun Odyssey 469 proves both responsive and stable. 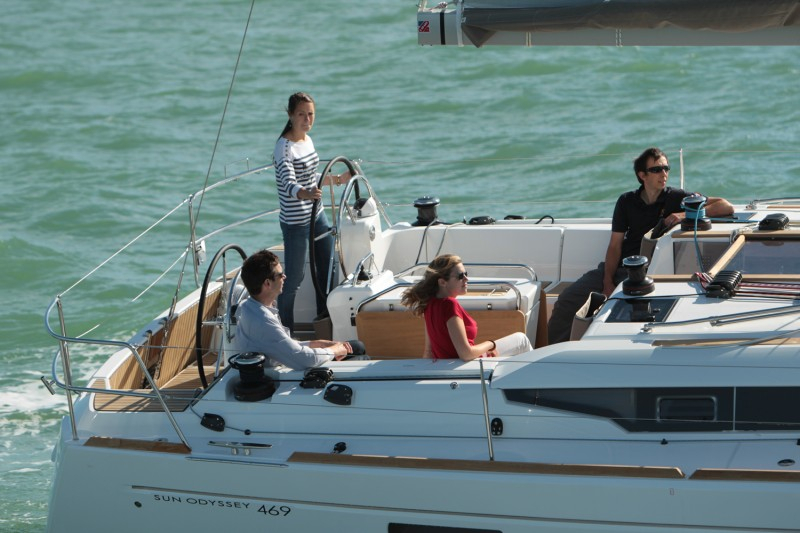 Whatever your destination may be, she will deliver moments of unforgettable cruising in all conditions. 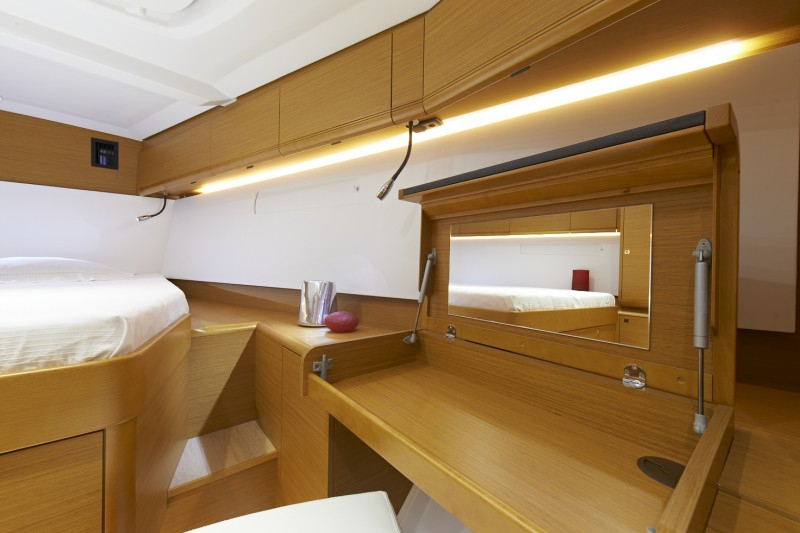 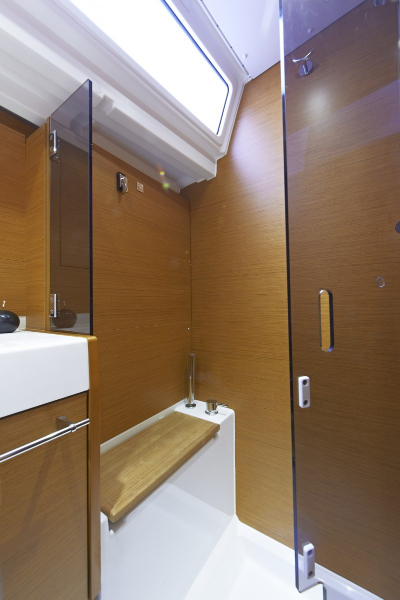 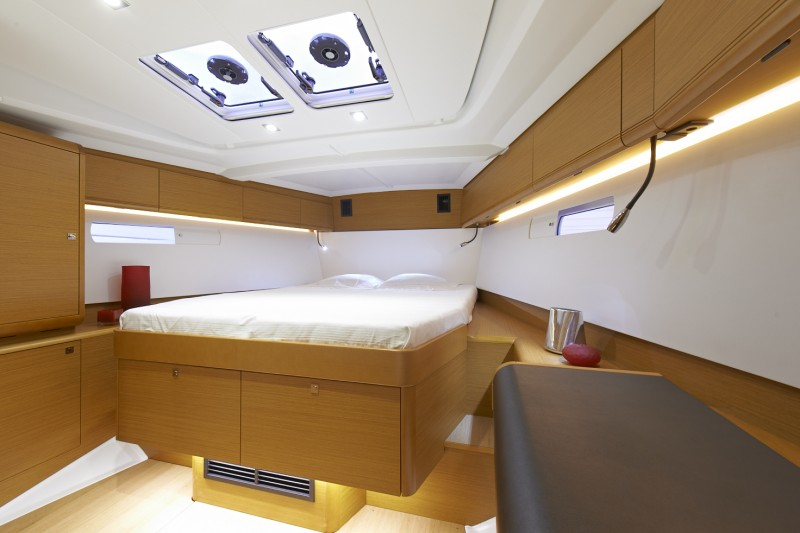 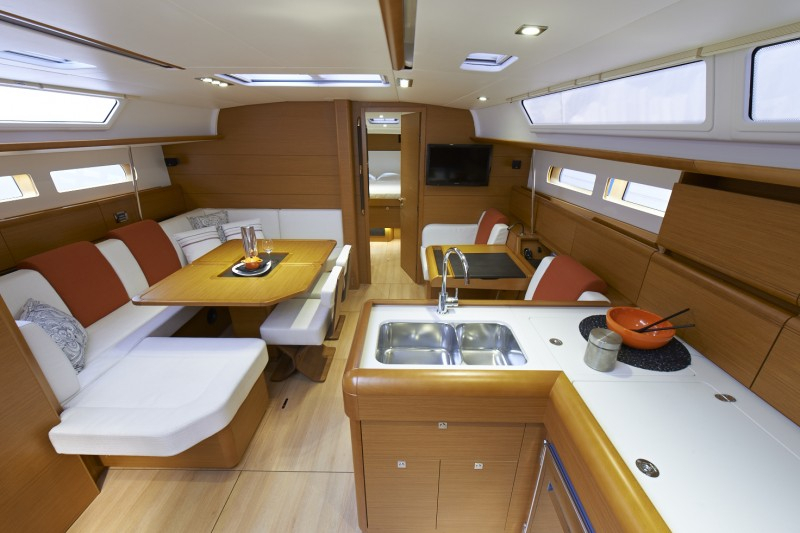 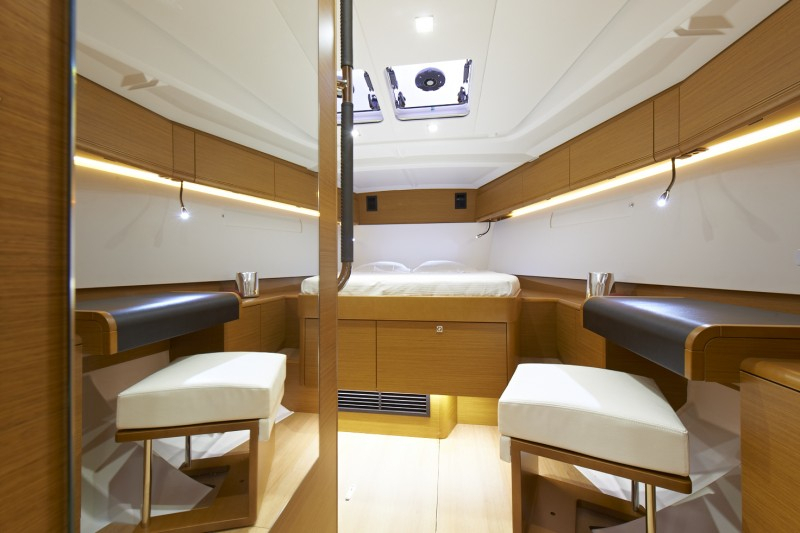 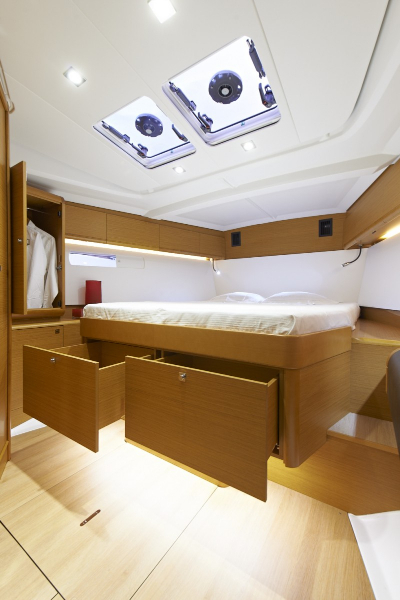 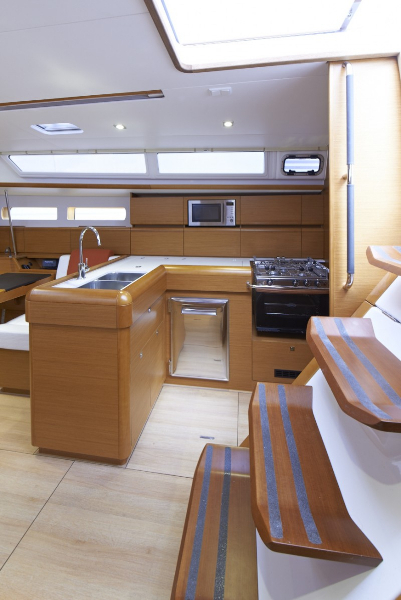 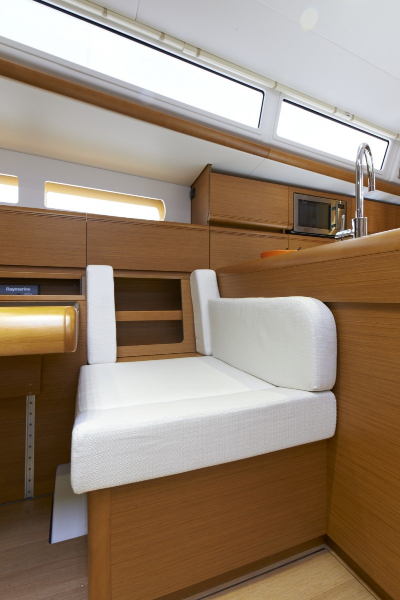 Bathed in light, the interior affords the volume and comfort typically found on a 50-foot sailboat. 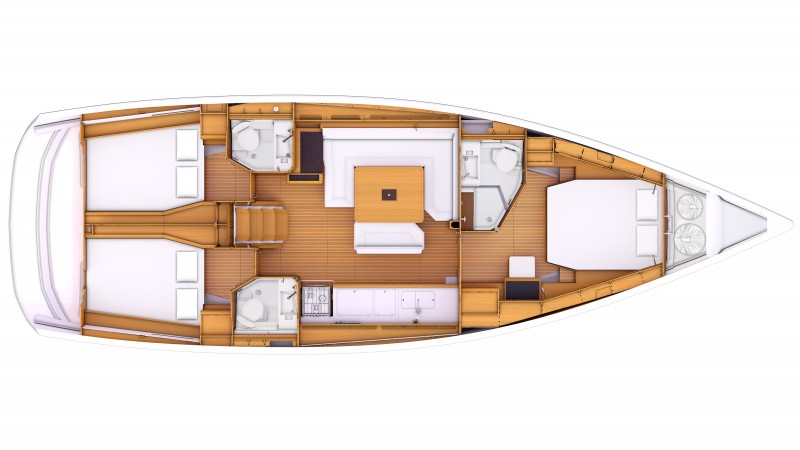 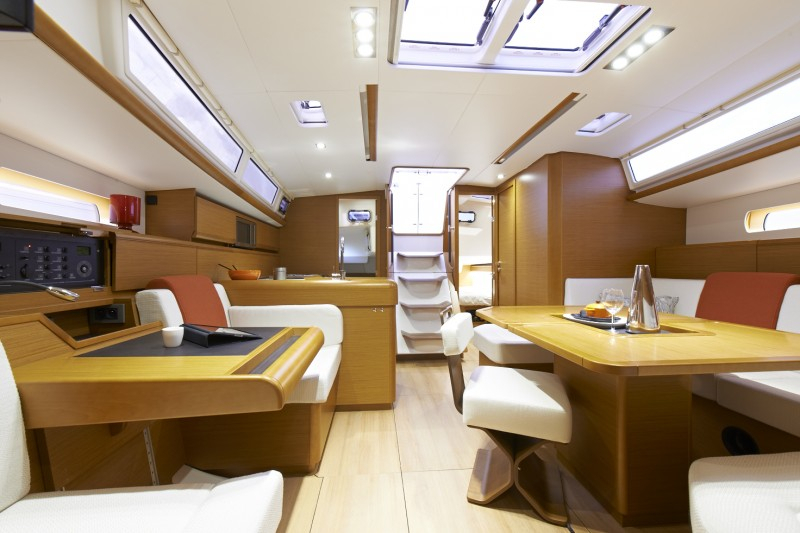 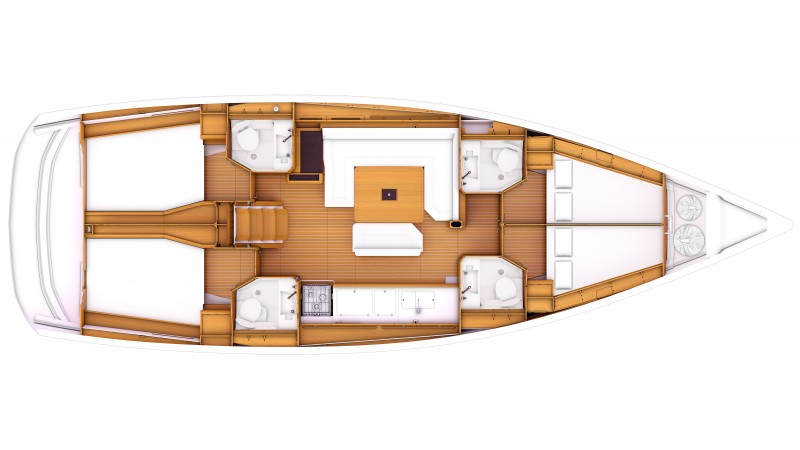 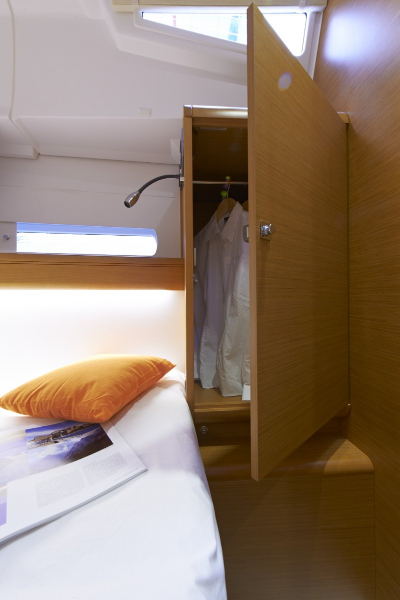 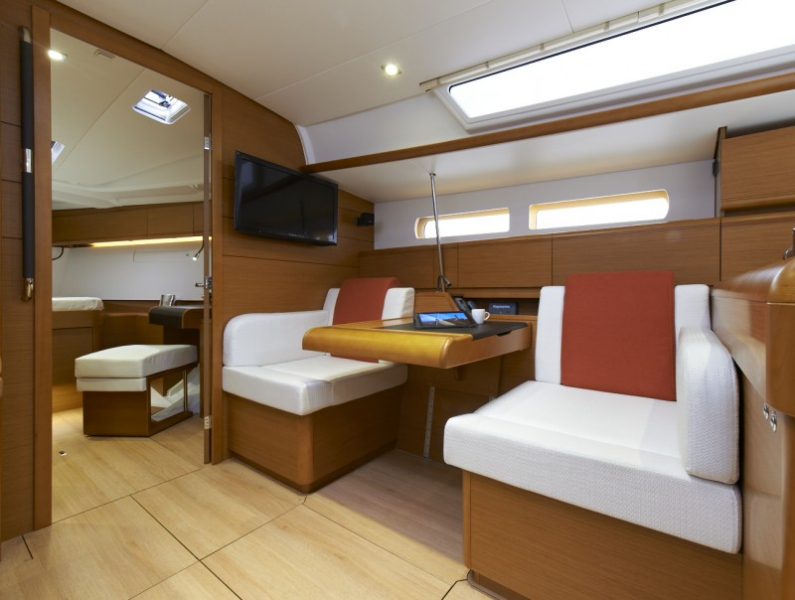 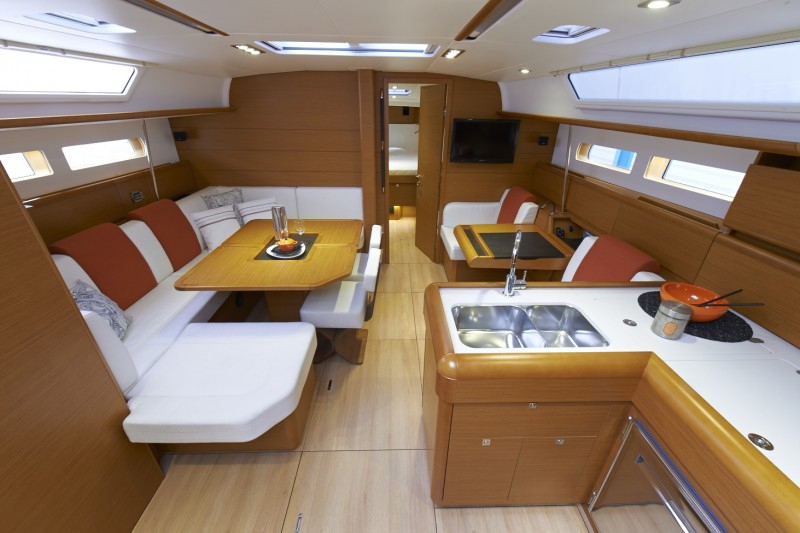 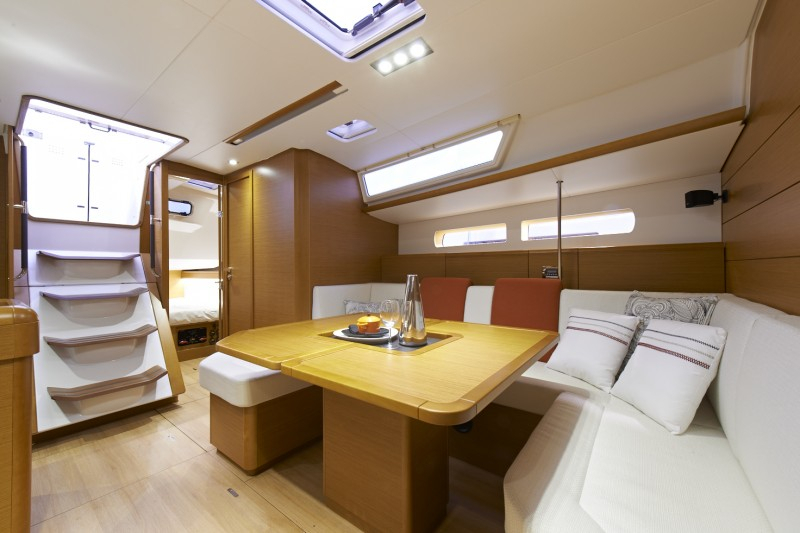 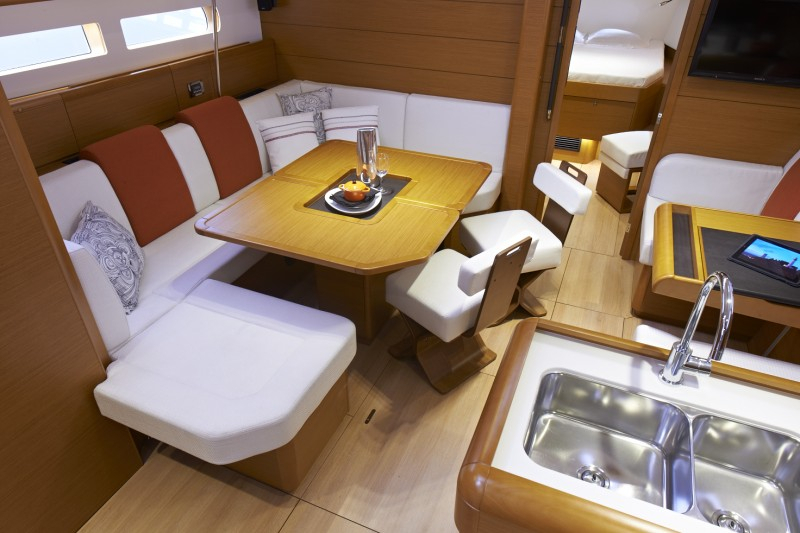 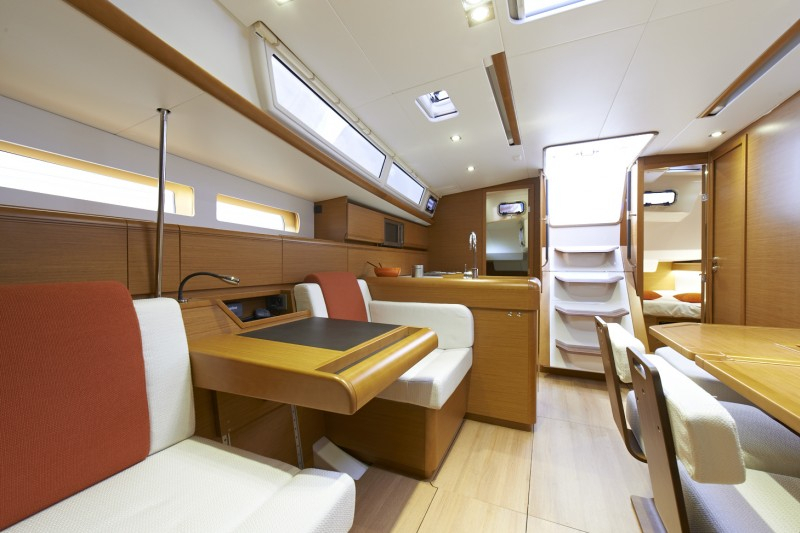 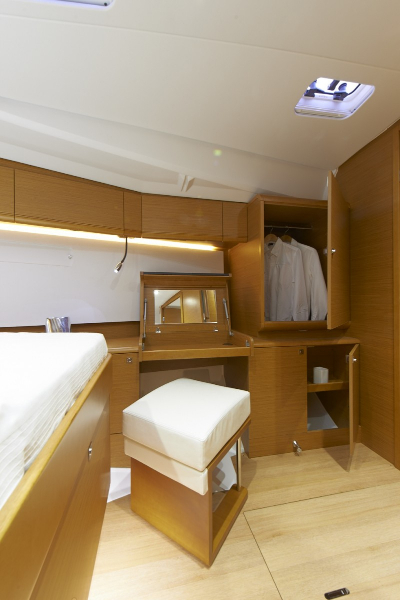 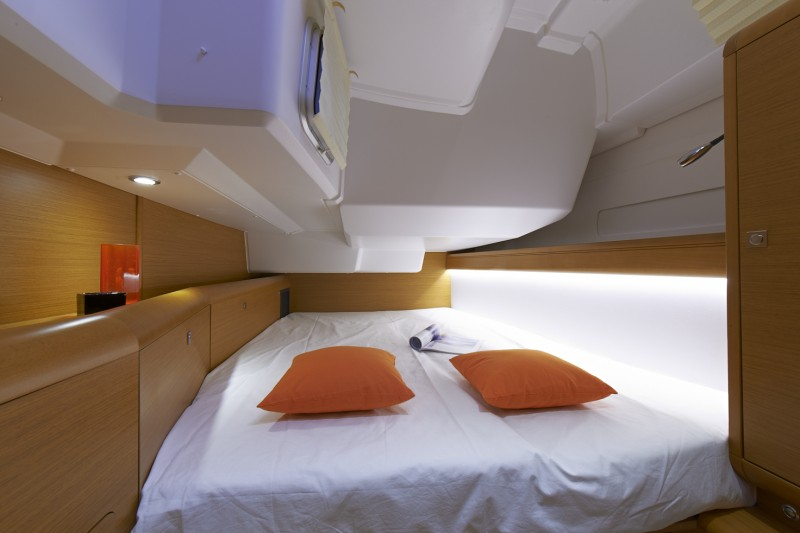 Aboard the Sun Odyssey 469, you will find many principal attributes of her inspiration and “big sister” model, the Sun Odyssey 509. 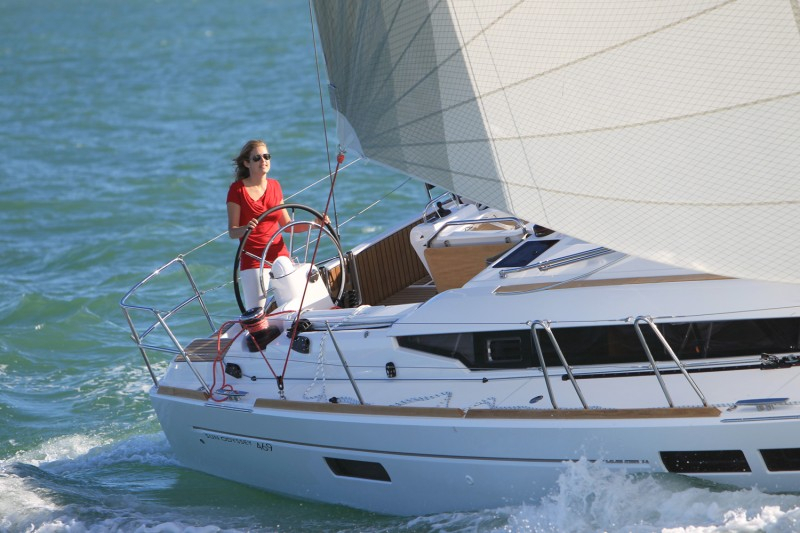 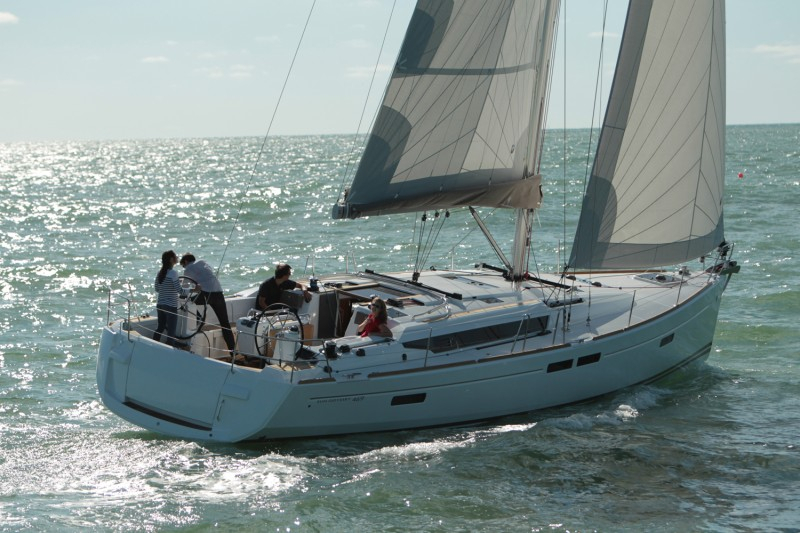 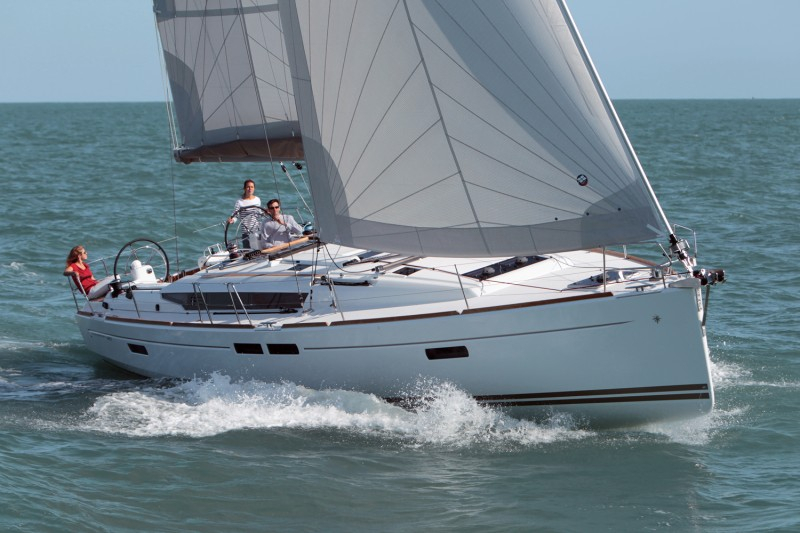 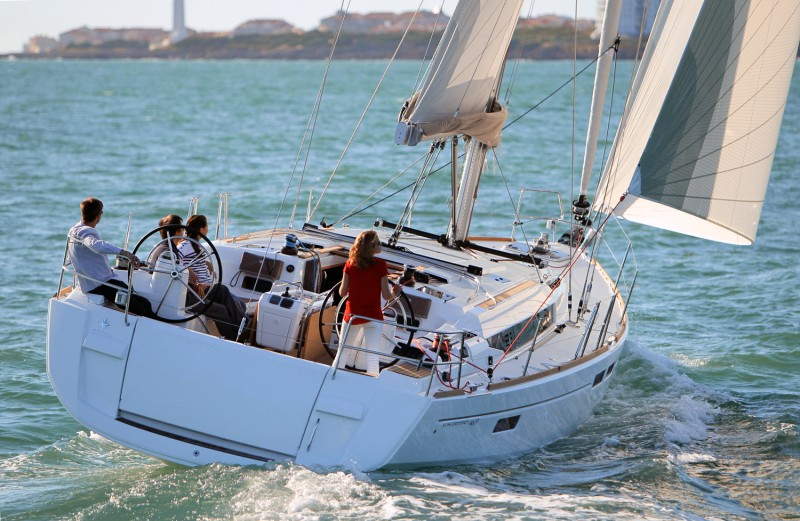 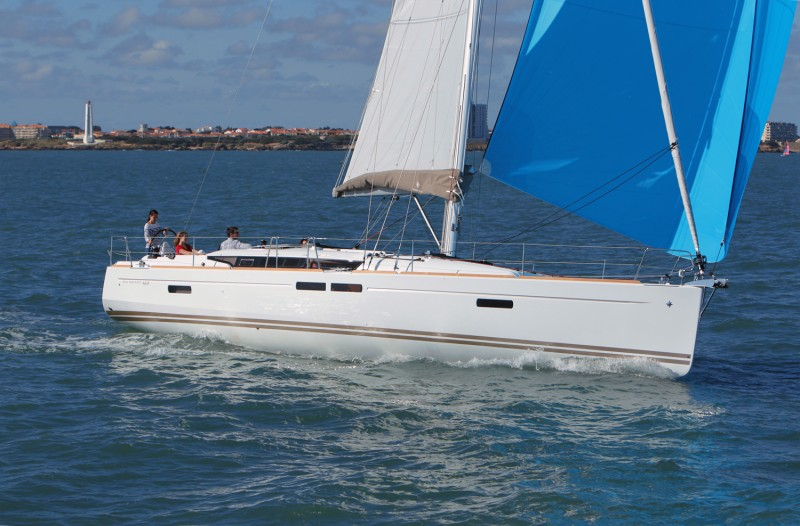 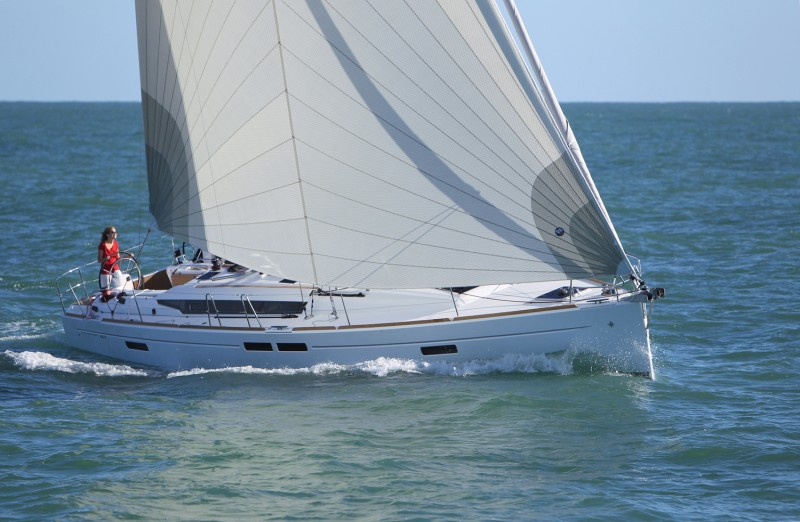 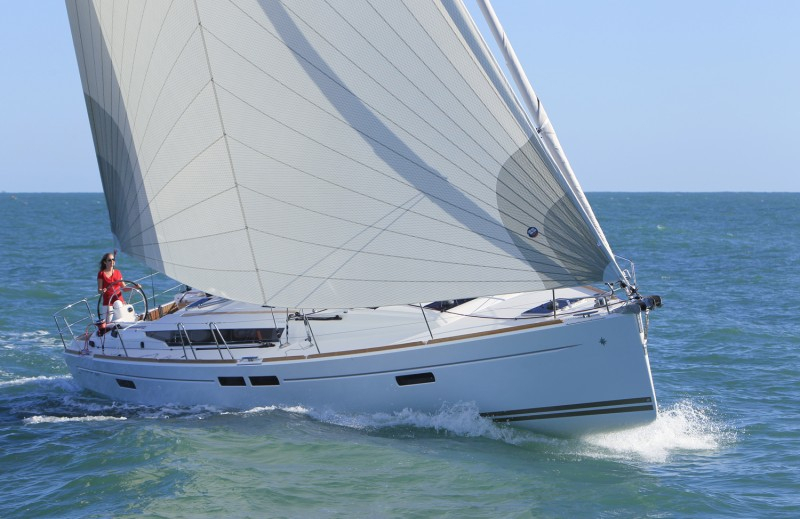 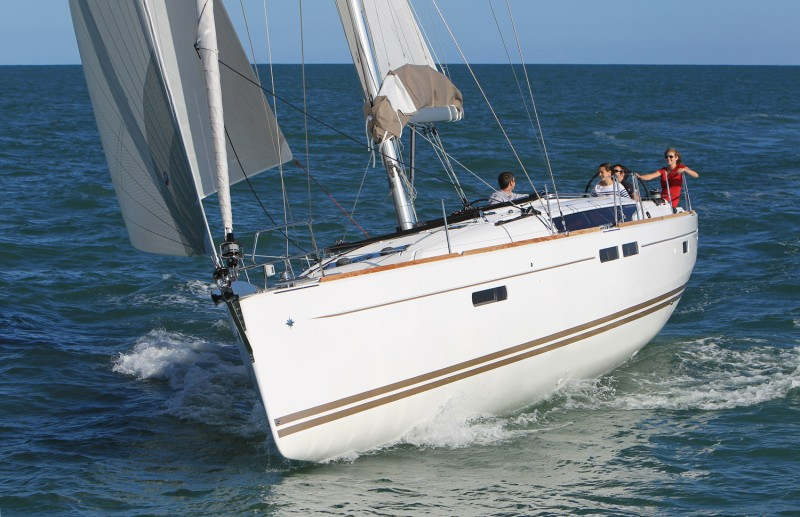 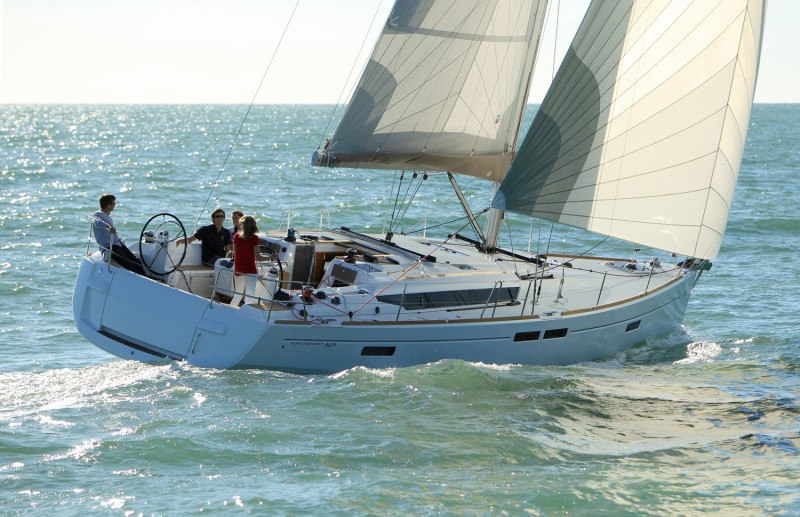 The Jeanneau Sun Odyssey 469 was nominated European Yacht of the Year in 2013 proving she really is the top of her class. 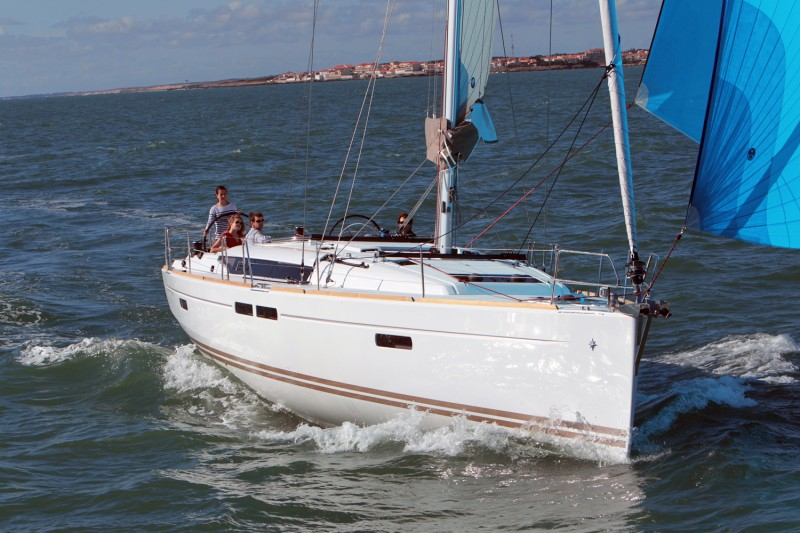 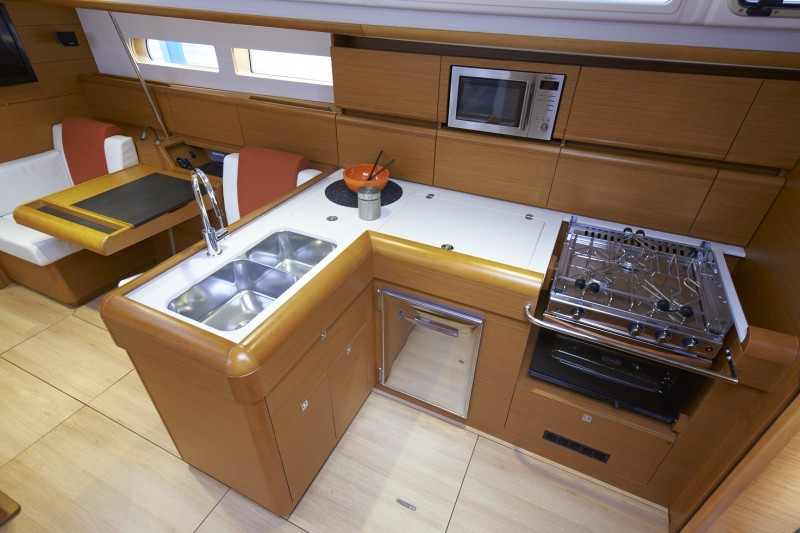 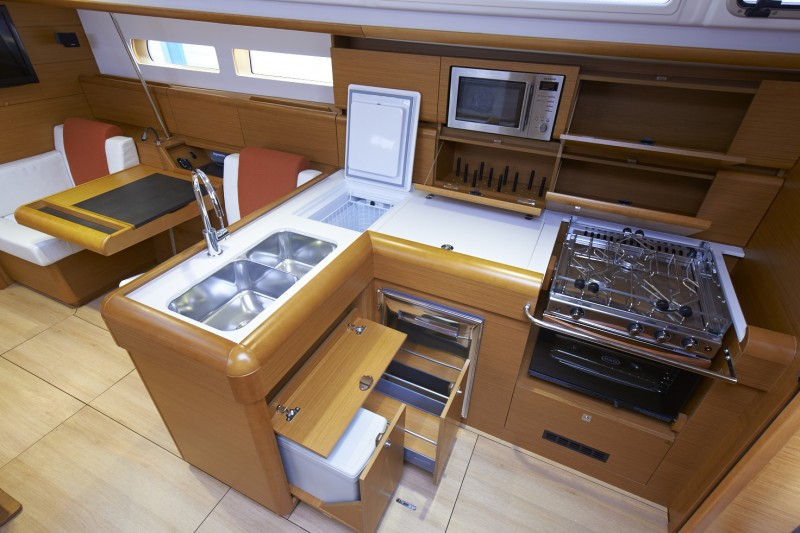 Jeanneau Sun Odyssey 469 for sale, fully loaded specification £229k view click to view full specification.